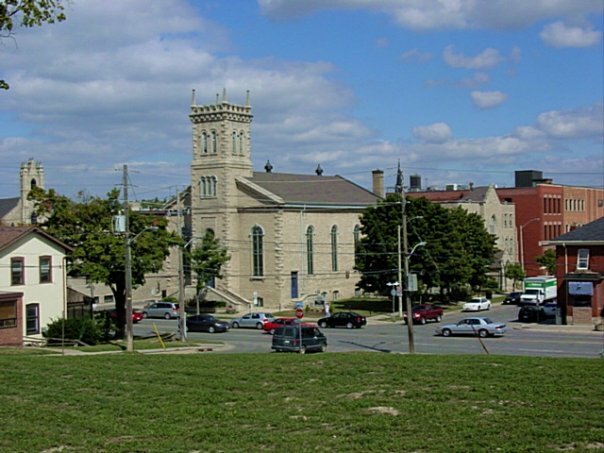 Standing solidly at the base of Catholic Hill, in the the shadow of the magnificant Church of Our Lady Immaculate, is another, older, limestone church, that for the past 156 years has served the citizens of Guelph well. The oldest extant worship space on it’s original foundation, Norfolk Street United Church was built in 1856 as a Wesleyan Methodist Church. Quite a different picture, today, as cars passing by are such a change to the means of travel in those far-off days. Though everything else has changed the Church remains the same, a silent reminder that we need God as much today as our forefathers did 175 years ago. It stands as a visable link with the past reminding us of the faith, courage and perserverance of the men and women who first settled here. Many of the settlers who came brought with them a strong religious faith, whether they came from the Old Country or the United States. We are told very little of where they worshipped in 1827 and 1828 when John Galt’s town of Guelph was struggling to get a foothold in the wilderness. It was nine years later, in 1836 that we have the recorded beginning of our church in a “little red chapel” on property owned by Dr. Henry Orton, on Nottingham St. By 1839, the Canada Company had given land to the Methodists, for the building of a church on the present site at the corner of Norfolk and Cork Street. Quickly the members erected a frame building at that location, which faired them well for the next sixteen years. At that time Hutchison Clark, an architect from Hamilton (and future mayor), drew up plans for an impressive limestone church, 40 feet X 80 feet that was at the time the largest Methodist Church in Southwestern Ontario. Over the years the congregation grew in numbers and in stature. We have had one Prime Minister, Lester B. Pearson, 5 Mayors, many City Councellors, many wellknown business and town leaders, one judge and many doctors, lawyers and ministers. For twenty-five years (1879-1903) James Mills was President of the Ontario Agricultural College with 12 other OAC professors in our midst. Edward Johnson began his operatic career in our choir in the late 1890’s and Maud Stevenson went on to become world known for her voice. Canada’s Poet Laurate (self-professed) James Gay stood amongst us. Tales of pioneer hardship and deprivation have been told many times. Yet still we remember in wonder, that people accomplished so much with so little; that men and women with simple tools, their bare hands, and their own inventiveness cleared the land, drained the swamps, made their own clothing and provided their own food. 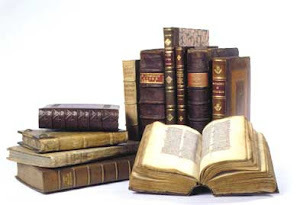 Through all these difficulties God was with them and they wanted their children educated intellectually and spritually.